What is B17 or Laetrile? In 1952, a biochemist named Dr. Ernst Krebb, Jr. in San Francisco decided that cancer was a metabolic reaction to a poor diet, and a missing nutrient from modern man’s diet could be the key to overcoming cancer. His research led to a compound found in over 1200 edible plants throughout nature. That compound is amagdylin. 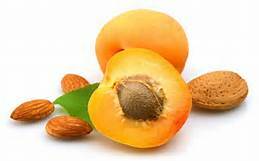 Amagdylin is found with the highest concentration and necessary enzymes in apricot seed kernels. A primitive tribe, the Hunzas, were known to consume large amounts of apricot seed kernels. The hard pit had to be broken to get into the soft kernels. There was no incidence of cancer with them at all, ever. And they had long, healthy life spans. Laetrile was created, by simply extracting amagdylin, from the soft apricot kernels, purifying it, and putting it into a concentrated form. Since laetrile is derived directly from a food substance in nature and not chemically developed in a laboratory, it is impossible to patent. And of course it’s not toxic. In other words, just as with all natural healing substances, Big Pharmaceutical companies can’t make a fortune from the substance and from the remedies for the long term side effects. There have been several testimonies from cancer victims who became cancer free by chewing large quantities of the apricot seeds alone. The seeds are actually the soft almond shaped, bitter tasting kernels from inside the pits. A few users prefer extracting those soft kernels from the pits themselves. But the soft kernels are available and inexpensive. But cancer cells are not normal. They contain an enzyme that other cells do not share, beta-glucosidase. This enzyme, virtually exclusive to cancer cells, is considered the “unlocking enzyme” for amagdylin molecules. It releases both the benzaldyhide and the cyanide, creating a toxic synergy beyond their uncombined sum. This is what the cancer cell’s beta-glucosidase enzyme does to self-destruct cancer cells. Amagdylin or laetrile in conjunction with the protective enzymes in healthy cells and the unlocking enzymes in cancer cells is thus able to destroy cancer cells without jeopardizing healthy cells. Chemotherapy, on the other hand, kills a lot of other cells and diminishes one’s immune system while killing an undetermined amount of cancer cells. Those cancer cells tend to return elsewhere because the patient’s general health was reduced from the pervasive chemo toxins. The cancer industry has declared the benchmark for curing cancer as being cancer free for 5 years. It’s estimated that of those who undergo the AMA big three for curing cancer, surgery, radiation, and chemotherapy, no more than 3% make the 5 year cancer free mark. Besides the treatments’ debilitating effects, they are much more expensive! There are many success stories from people using just laetrile or apricot kernels. The usual recommendation for prevention is around 5 to 7 over the course of a day. For actual cancer cases use 2 to 3 times that. Some say one kernel for every 10 lbs of body weight. For maintenance after a cure, go back to 5 to 7 per day.